Take the first step on an exciting new alternative route to a degree and a rewarding career within your chosen industry. Completing a higher or degree apprenticeship enables you to develop industry-specific work experience ahead of your full-time University peers, all whilst gaining a matching qualification. Our apprenticeships course pages provide more information on the way in which learning takes place. Apprenticeships allow for flexible learning alongside your job. 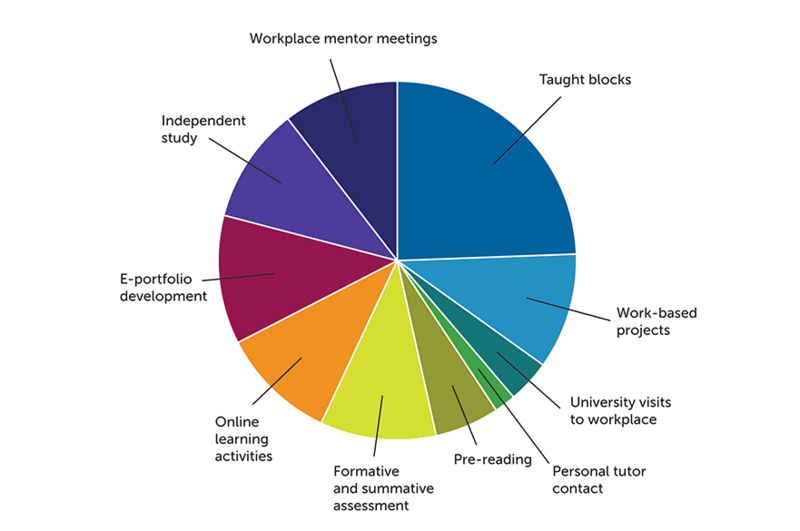 Examples of the off-the-job element of an apprenticeship include activities and support such as independent study, taught block sessions, workplace mentor meetings, and online learning. They're suitable for individuals aged 16 and over, and not just school-leavers. You could progress on to a foundation or full honours degree, or even a Masters qualification. You'll build years of industry-specific work experience — a key factor for you, and your future employers. You'll earn a salary, alongside your apprenticeship studies. 20% of your working week will be allocated for the off-the-job training. looking for a change in your career.